The first weekend of summer is upon us, and we’re here to set the table for what awaits. The Matinee ’18 June 22nd edition features nine songs that range from gripping to bombastic to groovy. We kick things off with one of the most cinematic bands not just now but in the history of music. The video is included below because it’s a must-see. Florence + The Machine’s fourth studio album, High As Hope, arrives June 29th via Republic Records. Need some fresh beats for your weekend? Dive into the polished cosmopolitan layers of Ceylon Ceylon‘s debut single, “Havass.” This London-based duo of Frederick Johnson and Lebrown James deliver a smooth, sultry fusion of modern electronic and hip-hop flavors with old-school soul influences. The result is a scorcher of a tune that you’ll want to keep on repeat every night this summer. 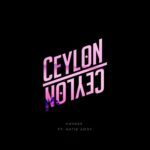 If you’re wondering (as we were) why the name Ceylon Ceylon doesn’t seem familiar, it’s because they’re still a relatively new entity. 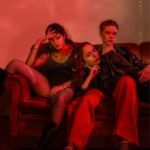 Since forming in late 2017 they have working on their debut release. Based on the irresistible results of this first single, our anticipation for their album (whether it’s an EP or LP) is sky-high. When the stunning guest vocalist Katie Addy sings “a mystical and musical sensation takes my soul / I can’t resist the urge to lose control,” you’ll find yourself nodding in agreement as you dance along. Oh, Ceylon Ceylon, you have stolen our hearts with this tune. Please deliver more as soon as possible. This single is out now on multiple streaming/purchase platforms (including iTunes and Spotify). We dare you to try to categorize The Dig. It’s no easy task given their myriad influences. 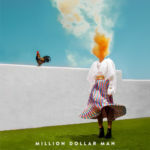 Their sound is best described as kaleidoscopic thanks to the ever-evolving display of styles, something you experience on “Million Dollar Man” from their upcoming double EP release. With its jangly, jaunty ’80s-esque style intro, “Million Dollar Man” channels Iggy Pop’s “Real Wild Child (Wild One)” in terms of head-bobbing energy. That love-it-or-hate-it refrain of “Gonna make a million dollars” imprints itself in your soft grey matter, so be ready to chant it to yourself all weekend. The song is just barely over two minutes long, yet The Dig pack plenty of substance into that brief span. Driving percussion, retro synths, and cool vocals make this a track you simply cannot get out of your head. “Million Dollar Man” is summertime writ large: bold, fun, and uninhibited. If you’ve somehow missed the formerly New York City-based band’s previous releases, do yourself a favor and dive in. There is much to love about their sometimes zany yet always rewarding sound. We can only wonder how their recent move to Los Angeles will impact their sound. Stay tuned as The Dig release a continually expanding Spotify playlist called “El Dig: A Year of Music.” It will include all 12 tracks from their two upcoming EPs, Moonlight Baby and Afternoon with Caroline. The EPs will be released October 19 via Roll Call Records. The Dig are: David Baldwin (guitar/vocals), Emile Mosseri (bass/vocals), Erick Eiser (keys/guitar), and Mark Demiglio (drums). Dolores Haze are back with a new release titled “Banana”. It’s a pop heavy rocker that you can’t help but wanna move to. The subject matter also falls right in line with the #MeToo movement as the play on words describe the ladies wanting nothing to do with a man’s, well – manhood. The track is super catchy as we hear a mix of heavy beats and whistling that remind a bit of Beck’s “Wow”. The lyrics clearly explain: “I might wanna talk to your mama (your ding dong dangle), I don’t wanna see your banana”, sings frontwoman Groovy Nickz, as the track takes on the topic of sexual consent and spells it out plain and simple.The rest of the track includes witty one-liners and double-entendres about a particular male organ, that the group seem simply sick of seeing everywhere they go. Dolores Haze are: Groovy Nickz, Lucky Lollo, Foxy Sagz. Ken Franklin’s project Dutch Party should be way more popular than it is. We’ve compared the LA-based artist to a young Dan Bejar due to his ability to creating addictive melodies while writing imaginative stories with a social conscience. Another artist he should be compared to as well is Jack Tatum – a.k.a. Wild Nothing – because Franklin, too, is taking pop music to new and exciting places, which he achieves once again with “Vibe In The Sky”. “Come on, come on get out. And this inspiring tune will help you find your way. It is summer after all, which is the time of renewal and rejuvenation. With a name like Free Cake For Every Creature, how can people not like the musical project of Philadelphia-based Katie Bennett? The moniker evokes happiness, community, and optimism. During her half-decade on the music scene, she has turned casual listeners into long-time fans with her charm and grace and intimate, relatable songs. People new to the party will also be welcomed with open arms, and they’ll immediately feel like they are in the home of their new best friend. As evidence, take a listen to “Around You”. The fleeting indie-pop-rock vibe personifies the coming summer months and pending road trips, camping outings, and lazy days chilling at the lake. The jangly guitar lines, the jittery rhythms, and Bennett’s soft and lush vocals are cool and vibrant like the mountain breeze. As the song builds, you’ll find yourself swaying and smiling, and all the while thinking about the memories you had with former lover or your current one. Some of those recollections will be blissful, but others may be heartbreaking. 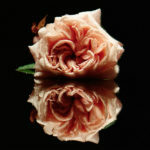 Bennett shares both, showcasing how love can make us act weirdly yet without any regret. In other words, she makes us feel like everyone else, which is exactly what best friend’s do. 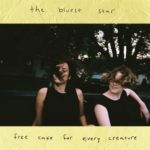 “Around You” is taken from Free Cake For Every Creature’s forthcoming, new album, The Bluest Star. It is out August 3rd via Double Double Whammy. Pre-order it on Bandcamp. 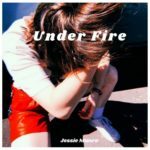 Jessie Munro has released a new track titled “Under Fire”. The Toronto native’s soulful and captivating vocals are at the forefront accompanied by a harmonious melody. The groovy underlying baseline provides a type of R&B flavor to her newest release. Ms. Munro has a knack for matching her stunning vocals with the perfect melody that has a way of sonically representing her emotions throughout the song. Thematically, the track focuses on the pressures of social expectations and constantly feeling scrutinized by others. Munro reflects on how she felt she was “under fire” from everyone in her life and the song is the realization that other peoples opinions aren’t always definitive. “Under Fire” is from Ms. Munro’s forthcoming EP release titled On My Own which will be released later this summer. A long time ago, a small French band from Rouen released their debut album, Worthless. It was filled with hook-laden and entertaining indie-rock tunes, making the LP perfect for a Friday night. 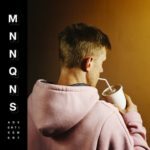 In the nearly four years since, the band has changed its name – or more accurately shorten it – to MNNQNS. They’ve also slightly changed their approach, dialing up the quirkiness, intensity, and rollicking nature of their music, which is evidenced on “If Only They Could”. If you have some of your mates around with you right now, clear out the furniture before pressing play because this tune will get people gyrating, jumping, and possibly moshing. The song is seriously 231 seconds of non-stop energy, commencing with a great, bubbly bass line and climaxing with a wall of furious noise meant to get everyone in a delirious state. This is music reminiscent of CBGB’s early days when punk and rock bands had two goals in common – to fire up the audience and deliver socially- and politically-charged tracks. While the rambunctious music steals the show, the four-piece also craft a great story about getting swallowed up in addiction. The single is taken from their latest EP, Advertisement, which is out on Fat Cat Records. Pick it up on Bandcamp and get to know this band before they explode! “Light At The Edge of The World” is the newest release from The Vryll Society. It’s a dreamy track with infectious harmonies and upbeat lyrics. The tempo is quite hypnotic and this song can easily be added to your super laid back playlist as a backdrop for a perfect chilled out weekend. 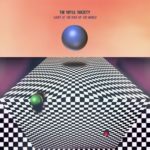 The Vryll Society continue to prove their talent with each new release. 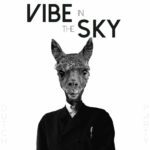 Their newest offering is spot on psychpop and the spaced out cosmic vibe works well with the soaring anthemic vocals. It’s great ear candy to get your weekend started off right. The chorus is uplifting with the lyrics “Can we stay here forever? I think I’m gonna like it here, I think I’m gonna like it here”. “Light At The Edge of The World” is the last single we get to hear until their debut album is out in August. The Vryll Society are Michael Ellis, Ryan Ellis, Lewis McGuinness, Lloyd Shearer, and Benjamin Robinson. Their long-awaited debut album, Course Of The Satellite, will be released August 10th via Deltasonic Records.